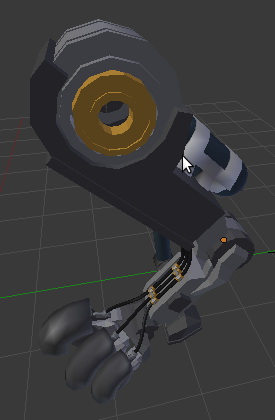 This update is all about the back leg. Mostly model work this time. Keeping the robotics similar to the front legs. 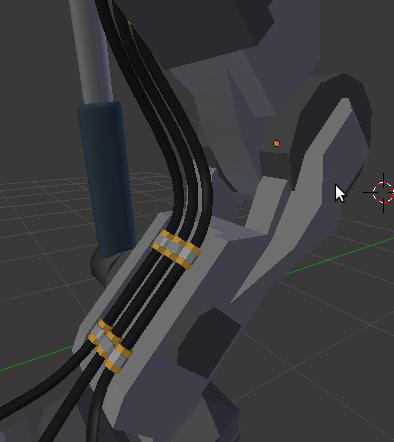 Added some pipes from the thigh all the way down to the foot. Up'ed the modelling a little. 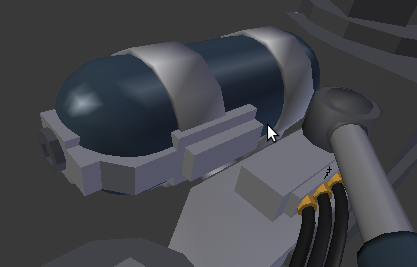 added detail to the mounts and joints, cavities for the back toe, the toes themselves and a bit to the gas tank. The finer details of the modelling will be done later over the whole model. bevelling the edges, little bolts n the such. Rigging was minimal. 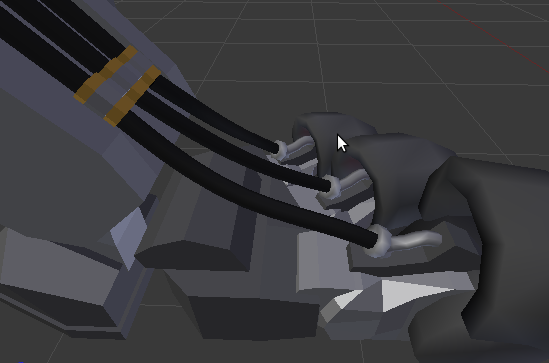 Just set up the toes with the usual trickery and splined up the pipes. Character rigger and animator for Blender. 5 years experience spread across commercial studios and various freelance jobs, including being part of the Blender Open Movie Project Durian and Mango. Jeremy Davidson. Powered by Blogger.